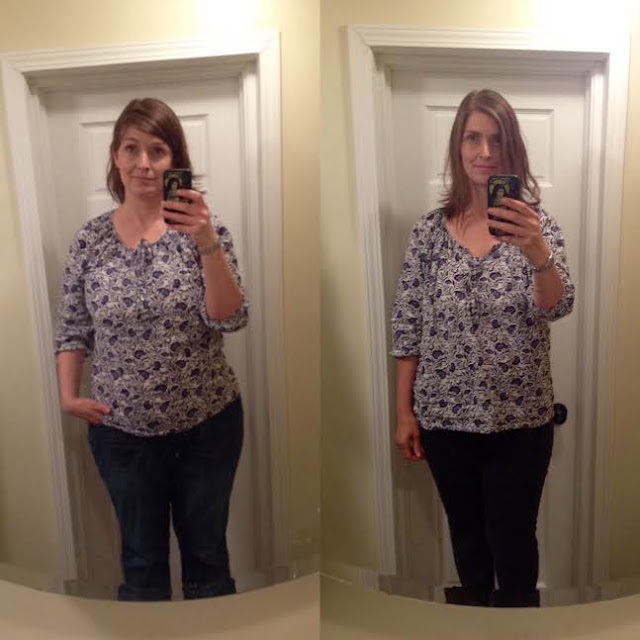 I started Trim Healthy Mama and lost 27 pounds | House Unseen. Life Unscripted. I've gotten a lot of questions about my weight loss in the last few weeks, especially when I begged and pleaded for writing ideas. So how 'bout I post my 13 week check in here this week? On the left, 13 weeks ago, with 40 pounds to lose in order to get where I was pre-pregnancy, and 50 pounds to lose to get to my super-duper-fit-fighting-weight, which I haven't seen since 2009. Now let me assure you: I was weighing myself at 4 weeks postpartum. That means we are not talking about water weight from the hospital or the weight of the actual baby inside me the day of delivery or anything like that. At FOUR WEEKS postpartum, that is how much weight I still had to lose. NICU life made me fat, y'all. That's all I can say. Desserts after every meal, munching on chocolate as a snack. Sitting, sitting, sitting, sitting, driving, sitting, sitting, sitting, sitting, driving. Man it sucked. ANYWAY! Anyway. 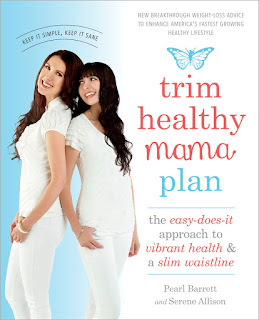 13 weeks ago I started to eat the Trim Healthy Mama (THM) way and I've lost 27 pounds 3.5 lbs in just the past week). I have done zero, zip, zilch, no formal exercising or running or whatever fit people do (I used to be one. I'll remember someday). This is entirely from changing the way I eat but never "going hungry." The ladies who did the research and came up with this system are Bible loving, family having, silly, energetic, and not spring chickens. They are not obsessed with fitness or being skinny for reasons of vanity. They talk a lot about how God made the world and God made us and He made the world for us with all its delicious food and water and wonderful things like coffee and wine. They talk about caring for our health and feeling our best so we can serve our families and each other. It's really a change in worldview, and one that I feel comfortable exposing my children, specifically my teen girls, to as well (as opposed to a stringent, perfectionist, control-freak way of viewing weight management, which I know I have fallen prey to in the past). Yes, I am drinking coffee and wine. And eating bacon. And if my baby weren't sensitive to dairy, I would be eating a whole lot of that too. Which brings me to my next point which is this: I'm not certain that it's just THM that's helping me lose weight. Cutting out sugar definitely helps (that's a THM principle) but I've also had to cut out all dairy. Add in all the whole foods and making sure I'm consuming enough protein (major THM principle as well) as well as drinking tons of water (THM again) and it seems obvious that the weight will come off. All I can offer is that in the past I have been light-headed and crabby if losing weight while nursing, and this time I haven't. This time I feel awesome. This time my nails aren't chipping and my face doesn't look like a warmed over skull stolen from The Pirates of the Caribbean ride. Now here is where I should just tell you how to DO the plan, but I really don't think that's the best way. The book is so key to understanding the WHY. Lots of protein, not mixing your fats with your carbs, eating every 3 hours....it all sounds too complicated until you understand all sides of it. Or it seems too easy, you eat all the things at all the times, and you don't lose weight. 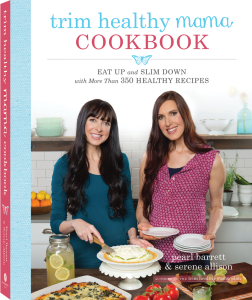 If you love the plan but need some help making plan friendly dishes including single serving breakfast muffins and smoothies (my favorites), you can also get the cookbook. I absolutely recommend them both. p.s. HEY! I've got a Kate Spade bag up for auction with all money going to Mary's Mantle, a home for homeless pregnant women in the Ann Arbor area. It ends this evening, so hurry! This post contains affiliate links which means if you use them I will have extra pennies to buy a better fitting shirt without you paying a cent more. Win win! I've been following you THM journey on Instagram. I am starting it myself. Just got my collagen and whey in the mail today. I have 25 lbs to lose. Great job on the weight loss! I have so much weight to lose it's not funny. I was heavy going into this pregnancy (never lost the Rosalie weight) so it felt impossible. I've been wanting to do THM for a year or two now but wasn't really motivates until recently. I started by just making sure my breakfast was E and my lunch was S and then eating whatever the family was having for dinner. It was working for me, until we went on vacay for 2 weeks! I've been eating all the desserts and drinking all the cocktails! But I'm looking forward to getting back on track next week. I would like to hear about this. I have diastasis but I keep reading conflicting advice (eg do planks, don't do planks, wrap your belly, don't wrap your belly, etc). For diastasis, look up Mutu System. Great program! You look amazing and so healthy! Keep it up, girl! You look wonderful! I, too, did THM and lost weight but then fell off the wagon and gained again. I've been trying to motivate myself to get back on it. The thing that makes this so much harder for me is that I am allergic to Stevia and Erythritol, xylitol...you name it - everything but sugar. I would embrace this plan if I could use those as it would make life so much better. The recipes are great, but I can't eat any of the sweets or treats without the sugar! Well, this might just motivate me to get back to it anyhow. Keep up the good work! I know it's not on plan but some ladies have used honey sparingly and not stalled. Have you tried that at all? I've been doing THM for a year and a half and love it. I'm now 16 weeks pregnant and I have never had such a trim pregnancy. Awesome! You look great! I've never done THM, but I did just this week make a recipe that came from THM and my daughters and I loved it. It's the eggroll in a bowl. It was yummy! I just used soy sauce rather than whatever it was I didn't recognize, but said you could use soy sauce instead of (amino acids maybe), and didn't add any extra salt. I love THM! I started to eat this way to keep a stable blood sugar. When you have a family history of diabetes--on both sides, your last baby was an 11 pounder--Leo the Great, and you hit 44...things gotta change before things get bad. How complicated it is? I'm in a similar boat as you....baby number seven is four months old and we homeschool, etc. So if you can figure out how to do it and still get dinner on the table for the family....I might have some hope! I was just intimidated by the blog posts I read that talk about E meals and S meals, etc??? Ugh. If I could just get started and stay started. I started THM 2 months ago and I love it. So far I have lost 12 pounds and have gone down 3 pants sizes and 2 shirt sizes. I love the food freedom!